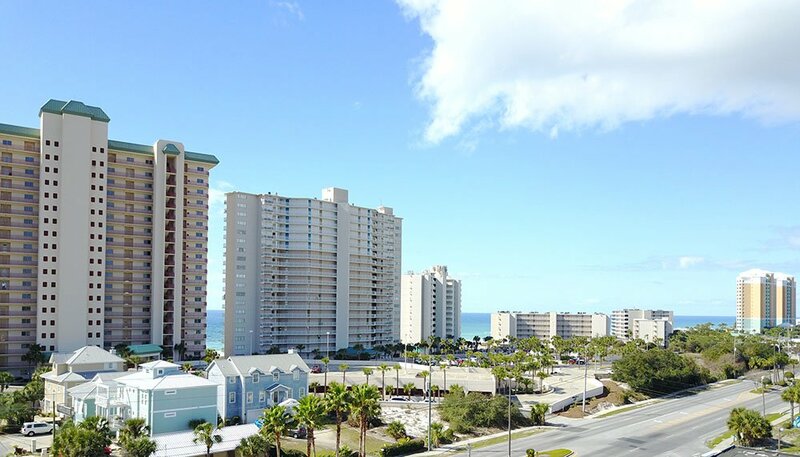 Portside is located on the west end of Panama City Beach. The complex consist of approx 200 units. They are 2 bedroom 1.5 bath units. Each unit is 1120 sqft with a balcony either on the front or back of the unit. Bedrooms are located upstairs. There are two floor plans, one with living room in front and the other reversed. Complex was built between 1984-1986. Many of the units have been upgraded and may feature 2 full baths or updated flooring and kitchens. Beach access, located between Front Beach Road and Panama City Beach Parkway.